Facebook has announced a massive initiative to bring affordable internet to those around the world who are currently unable to get online – that's 5 billion people. Internet.org marks a partnership between Facebook, Samsung, Ericsson, Nokia, Qualcomm, Opera, MediaTek and Ericsson to create a world completely connected by the internet, bringing the web to developing nations. So how will it work? Currently Mark Zuckerberg says he only has a "rough plan" but one of the primary goals of the group initiative is to reduce the cost of delivering internet services on mobile phones. They'll do this by making phone applications more simple, while improving mobile networks to make them broader so that they're as data efficient as possible, according to The New York Times. Getting carriers and manufacturers to offer lower prices of access is also part of the plan. "There are huge barriers in developing countries to connecting and joining the knowledge economy," said Zuckerberg in a statement. 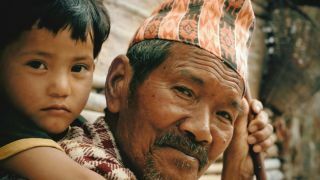 "Internet.org brings together a global partnership that will work to overcome these challenges, including making internet access available to those who cannot currently afford it." The Facebook CEO has set out his thinking in a document titled "Is Connectivity a Human Right?". Right now the key focus of the initiative seems to be on mobile devices given the continuing rise of mobile traffic. Oh, and we suspect Facebook will pick up a few new users along the way too.